Early this year, two high-profile green roof buildings bagged a prominent industry award, known throughout North America as the award body that recognizes excellence in architecture. 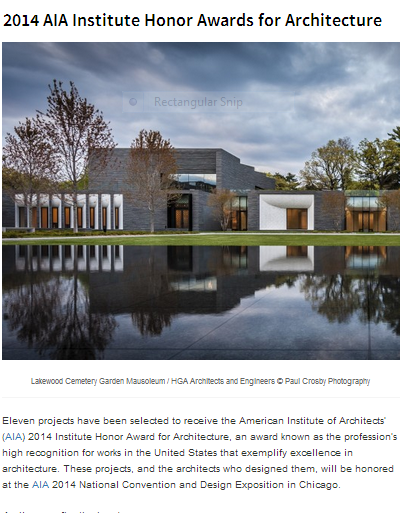 The Brooklyn Botanic Garden Visitor Center and the Los Angeles Museum of the Holocaust joined nine other winners for the 2014 Institute Honor Award for Architecture given by the American Institute of Architects (AIA). Green roof technology in the U.S., including residential roofing in Menlo Park, CA and other places across the states, is catching up to Europe’s own rapid advances, with Germany, particularly, already sustaining a lucrative multi-million dollar industry for green roof products and services. Today, with more vocal U.S. policy support and public information, progressive establishments, as well as homeowners, are bolstered to live in greener spaces by their expanding awareness of the tangible and far-reaching benefits of green roofing. Concrete walls soar to meld with angled, split green roofing that effectively, or at least faintly, mute the sounds in the park nearby. There is the sense of being sequestered, of walking into isolation that awaited victims of genocide throughout history to whom the museum was dedicated. Many homeowners across the US have also cleverly contrived an extra outdoor space in their property by looking up. Renovating your own home in Menlo Park to install green roofing technology require no extra land, yet will give you the added space to grow food, create a garden oasis, and improve air quality in your surroundings, among a long list of benefits. Make sure to do your research and consult only with a Menlo Park roofing contractor, such as Shelton Roofing, that has stayed up-to-date with environmentally friendly business practices and energy-efficient techniques.